Travel with Tim Cope for a culturally enriching experience of western Mongolia. Trek through the Kharkhiraa and Tsaast Uul mountains. Explore the Mongolian capital of Ulaan Baatar. 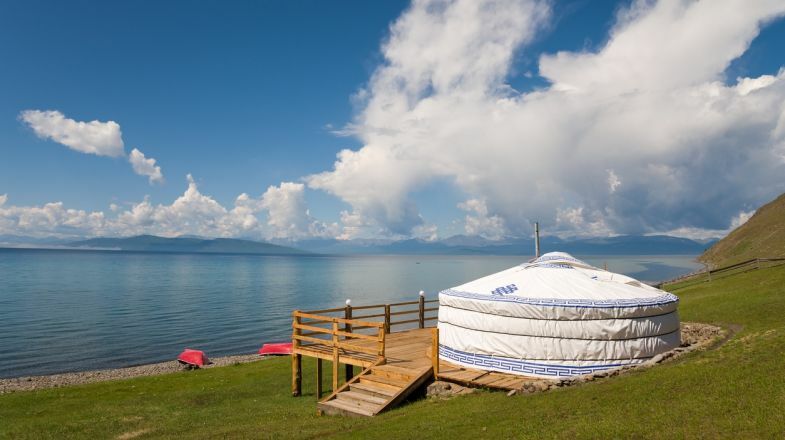 A tour of Mongolia is perfect for anyone who fancies themselves a nomad. With a population density of only 1.7 people per square-kilometer, Mongolia is uniquely empty, ideal for a little bit of self-discovery. The phenomenal country also has a geographical diversity unlike anywhere else on Earth, combining sandy desert dunes with high mountains and deep lakes - all of which can be enjoyed while soaking up 250 days of pure sunshine each year. One of Mongolia’s top draws for tourists is the annual Naadam festival. This shouldn't-be-missed event is celebrated in mid-July and is a fantastic way to experience the country’s traditional clothing and dramatic sports competitions. Get ready for that windswept look. Mongolia is an incredibly windy country, so be sure to bring a windbreaker, something to protect your face (like a scarf), and balm for dry lips. If planning an overnight trip to the Gobi Desert during the summer, be sure to pack a variety of clothing and supplies for all temperatures. Expect very hot temperatures during the day, but cold winds at night. When camping, don't take your electricity for granted. Most ger camps rely on generators, and many only supply electricity during certain hours. Ask for hours upon arrival, and be sure to bring some battery-powered flashlights. Mongolians love visitors. If passing a nomadic family's ger on your travels, don't be shy - stop by for a chat. You'll often be offered a cup of milk tea and some pleasant conversation. Bring some gifts with you in anticipation of these visits. Mongolia has seasonal weather so please do check up on the best time to visit Mongolia before planning your tour.